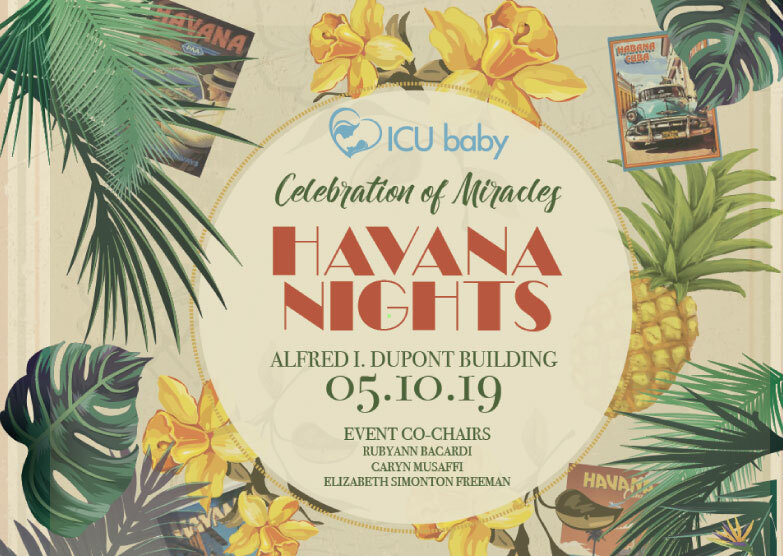 Join us for ICU baby’s signature event – Celebration of Miracles – on Friday, May 10, 2019. This year, guests will enjoy a night in Old Havana at the famed Alfred I. DuPont Building in downtown Miami with live music, entertainment, Cuban cocktails and cuisine. ICU baby’s Celebration of Miracles remembers the babies who do not survive and honors the miracle babies who provide hope for other NICU families. If you are interested in being part of this fundraising event, click here to find out more about our sponsorship options.